Manas National Park in Assam is known for its tiger reserve which attracts wildlife lovers from all over. 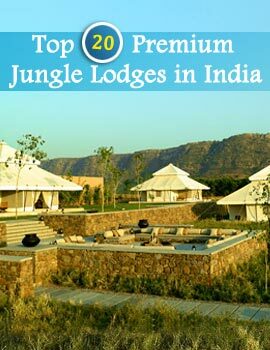 The rich variety of flora and fauna in Manas makes it the dream destination of nature lovers. 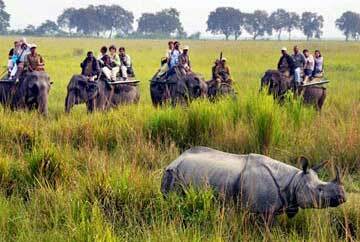 Manas National Park is famous for its conservation of endangered species of animals. Set at the foothills of Bhutan Himalayas, the Manas National Park is certainly the dream destination of nature lovers. 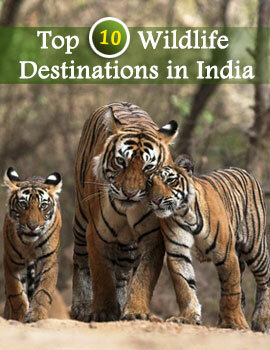 Indian Holiday offers you online information in Fauna in Manas. The Manas Sanctuary is located in Assam on the foothills of Bhutan Himalayas. Manas National Park in Assam has a rich variety of flora and fauna that allures the wildlife lovers to this National Park in Assam. The National Park also protects the endangered species along with the conservation of the other Himalayas. The diverse fauna of Manas National Park includes Langurs, Assamese Macaques, Slow Loris, Hoolock Gibbons, Smooth Indian Otters, Sloth Bears, Barking Deer, Hog Deer, Sambar and Chital. The endangered species in this National Park are the Assam Roofed Turtle, Hispid Hare, Golden Langur and Pygmy Hog. Apart from the variety of animals, Manas also has a varied avian population like the Giant Hornbills, Jungle Fowls, Bulbuls, Brahminy Ducks, Khaleej Pheasants, Egrets, Pelicans and Fishing Eagles. You can also get a glimpse of the Bengal Florican which is an endangered species in the Manas National Park. Explore the diverse fauna in Manas on your tour to Assam Wildlife. 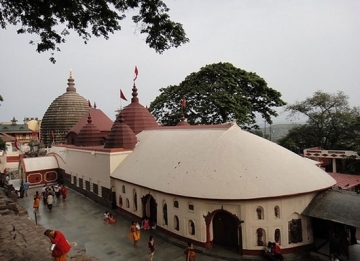 Nature lovers love to explore the dense and thickly forested regions of Manas, for its varied topography and varied collection of animal and plant life.